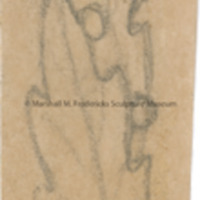 Sketch of leaves for unidentified project, possibly "Oak Leaves and Grain"
Sketch of leaves with berries for unidentified project. 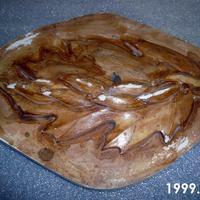 Plaster relief of oak leaves and grain. Brown from shellac which is used to seal the plaster. 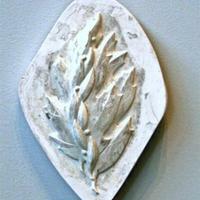 Plaster relief composition of oak leaves and a stalk of wheat on the left side make up this diamond shaped composition.